Lipolysis plays a central role in the regulation of energy balance. Lipolysis is the process in which triglycerides (TG) are hydrolyzed into glycerol and free fatty acids. This process releases free fatty acids (FFA) into the bloodstream where they may be either re-esterified by the adipocyte or travel to other tissues and exert other effects throughout the body. Elevated adipocyte lipolysis has been observed in obese and diabetic individuals (Arner 1996). Excessive free fatty acid production is believed to contribute to insulin resistance in skeletal muscle that is observed in obesity. Hormone sensitive lipase is the rate-limiting enzyme catalyzing triglyceride breakdown. Perilipins, one of the PAT (perilipins, adipophilin, TIP47 proteins) family of lipid-associated proteins, are implicated in adipocyte lipolysis by mediating the interaction of HSL with the triacylglycerol molecule (Brasaemle et al. 2004; reviewed in, Tansey et al. 2004.) The presence of these proteins corresponds to lipolytic stimulation in cultured adipocytes (Braemle et al. 2004). The sympathetic nervous system also plays a key role in the regulation of lipid mobilization. The main lipolytic pathway involves beta-agonists (β-agonists), which activate β-adrenergic receptors via the intracellular Gs proteins in adipocytes. This leads to the activation of adenylate cyclase (AC), which then increases cyclic AMP (cAMP) levels. Elevated cAMP acts as a second messenger to activate hormone sensitive lipase (HSL). HSL, the rate-limiting enzyme regulating adipocyte lipolysis, then catalyzes the hydrolysis of triglycerides and results in the release of glycerol and FFA (increased lipolysis). Phosphodiesterases (PDE) are enzymes that hydrolyze cAMP to 5'-AMP (5 prime adenosine monophosphate). This action results in a decrease in lipolysis. PDE inhibitors increase intracellular cAMP levels. 3-isobutyl-1-methylxanthine (IBMX), a non-specific inhibitor of cAMP phosphodiesterases (PDE), is used as the positive control if your test compounds are suspected PDE inhibitors. Isoproterenol, a non-specific β-adrenergic agonist is used as the positive control if your test compounds affect lipolysis via β-adrenergic receptors (Robidoux et al. 2004). Our lipolysis assay kits provide the tool to study chemical compounds that may influence lipolysis in cultured human or 3T3-L1 adipocytes. Kits are available with and without a plate of cells. Kits can measure the glycerol and/or free fatty acids released in lipolysis. 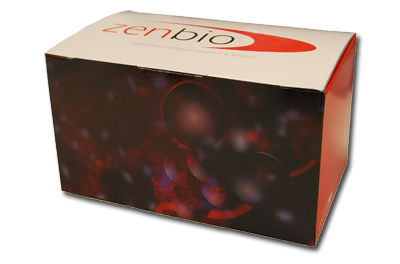 * This kit includes one 96-well plate of 3T3-L1 preadipocytes, media to differentiate the cells and reagents for the detection of lipolysis. LIP-1-NC lipolysis kit used to quantify glycerol release in hormone stimulated adipocytes (Gagnon, et al., 2010). Lipolysis Assay kit used in 3T3L-1 cells and primary adipocytes (Liu, et al., 2009). Lipolysis Assay Kit Buffer used to measure adipogenesis regulation by G protein coupled receptor 103 (Mulumba, et al.). Lipolysis Assay kit used to measure lipolysis in 3T3 Cells after caveloin-1 knockdown by siRNA (Ahmad, et al., 2009). Glycerol Reagent (Lipolysis kit) used to measure lipolysis in 3t3-1 adipocytes following Xanthohumol and guggulsterone treatment (Rayalam, et al., 2009). Lipolysis Kit used to measure the glycerol content in the culture medium after isoproterenol treatment (Klein, Schreml, Nerlich, & Prantl, 2009). Lipolysis Kit used to measure lipolysis in primary murine adipocytes from differentiated white fat precursor cells (Hiroyama, et al., 2009). Lipolysis Kit used to measure lipolysis after treatment of primary adipocytes with isoproterenol or recombinant leptin (Cernkovich, Deng, Bond, Combs, & Harp, 2008). Glycerol reagent (lipolysis kit) used to measure lipolysis change in cells after Guggulsterone treatment (Yang, Della-Fera, & Baile, 2008). Glycerol reagent (lipolysis kit) used to measure change in triglyceride hydrolysis following injection of antimicrobial peptide dermicidin in vivo (K.-A. Kim, et al., 2008). Lipolysis assay kit used to measure FFA released from mature adipocytes and media from breast cancer cells (J. H. Kim, et al., 2008). Lipolysis assay kit used in adipose-derived stem cells aging study (Schipper, Marra, Zhang, Donnenberg, & Rubin, 2008). FFA kit used in patients for angiopoietin study (Robciuc, Tahvanainen, Jauhiainen, & Ehnholm, 2010). FFA kit used in liver steatosis study in SIRT1 knockout mice (Xu, et al., 2010). FFA kit used in an oxidative stress study to determine the interaction between dyslipidemia and inflammation in obese children (Oliver, et al., 2010). FFA kit used to support circadian rhythm analysis in rat adipose tissue (Sukumaran, Xue, Jusko, Dubois, & Almon, 2010). FFA kit used to measure FFA after diet restriction in two rock climbers, oxidative stress study (Merrells, Friel, Knaus, & Suh, 2008). TG/FFA kit used to measure regulation of serum lipids by Pck1 in insulin resistant mice (Millward, et al., 2010). TG/FFA kit used to measure lipolysis and triglyceride accumulation in adipocytes after treatment with all-trans retinoic acid (Berry, Soltanian, & Noy, 2010). TG/FFA kit used to measure triglycerides and lipolysis in 3T3-L1 cells after treatment with dexamethasone and methylisobutylxanthine (Pantoja, Huff, & Yamamoto, 2008). Adipocyte lipolysis assay kit use to measure white adipocyte lipolysis activation (An, et al., 2010). 3T3-L1 adipocytes triglyceride lipolysis kit used to measure PPAR-Gamma effects on lipid storage (Lobo, et al., 2010). 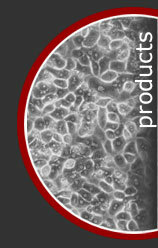 3T3-L1 Adipocyte kit used to prepare cells for mineralcorticoid receptor blockade experiments (Guo, et al., 2008). Hypermetabolism of Fat in V1a Vasopressin Receptor Knockout Mice. Masami Hiroyama, Toshinori Aoyagi, Yoko Fujiwara, Junichi Birumachi, Yosuke Shigematsu, Kohji Kiwaki, Ryuji Tasaki, Fumio Endo, and Akito Tanoue Mol. Endocrinol., Jan 2007; 21: 247 - 258. Thrombin increases inflammatory cytokine and angiogenic growth factor secretion in human adipose cells in vitro. J. L. Strande and S. A. Phillips J Inflamm (Lond). 2009; 6 4. Monoclonal antibody antagonists of hypothalamic FGFR1 cause potent but reversible hypophagia and weight loss in rodents and monkeys. Haijun D. Sun, Maria Malabunga, James R. Tonra, Roberto DiRenzo, Francine E. Carrick, Huiyuan Zheng, Hans-Rudolf Berthoud, Owen P. McGuinness, Juqun Shen, Peter Bohlen, Rudolph L. Leibel, and Paul Kussie Am J Physiol Endocrinol Metab, Mar 2007; 292: E964 - E976. Adipocyte culture medium stimulates production of macrophage inhibitory cytokine 1 in MDA-MB-231 cells. Kim, Jae Hyeong, Kim, Kun-yong, Jeon, Jun Ho, Lee, Su Hee, Hwang, Ji-Eun, Lee, Jung Hyeong, et al. 2008. Cancer letters; 261: 253-262. Adipose-specific disruption of signal transducer and activator of transcription 3 increases body weight and adiposity. Cernkovich, Erin R, Deng, Jianbei, Bond, Michael C, Combs, Terry P, & Harp, Joyce B 2008. Endocrinology; 149: 1581-1590. Altered lipid metabolism in vasopressin V1B receptor-deficient mice. Hiroyama, M., Fujiwara, Y., Nakamura, K., Aoyagi, T., Mizutani, R., Sanbe, A., et al. 2009. Eur J Pharmacol; 602: 455-461. Anti-obesity effects of xanthohumol plus guggulsterone in 3T3-L1 adipocytes. Rayalam, Srujana, Yang, Jeong-Yeh, Della-Fera, Mary Anne, Park, Hea Jin, Ambati, Suresh, & Baile, Clifton A 2009. Journal of medicinal food; 12: 846-853. Differential regulation of adipocyte PDE3B in distinct membrane compartments by insulin and the beta3-adrenergic receptor agonist CL316243: effects of caveolin-1 knockdown on formation/maintenance of macromolecular signalling complexes. Ahmad, F., Lindh, R., Tang, Y., Ruishalme, I., Ost, A., Sahachartsiri, B., et al. 2009. Biochem J; 424: 399-410. Effect of dermcidin, an antimicrobial peptide, on body fat mobilization in normal mice. Kim, Kyung-Ah, Ka, Sun-O, Moon, Woo Sung, Yi, Ho-Keun, Lee, Young-Hoon, Kwon, Kang-Beom, et al. 2008. The Journal of endocrinology; 198: 111-118. GPR103b functions in the peripheral regulation of adipogenesis. Mulumba, M., Jossart, C., Granata, R., Gallo, D., Escher, E., Ghigo, E., et al. Mol Endocrinol; 24: 1615-1625. Guggulsterone inhibits adipocyte differentiation and induces apoptosis in 3T3-L1 cells. Yang, Jeong-Yeh, Della-Fera, Mary Anne, & Baile, Clifton A 2008. Obesity (Silver Spring, Md. ); 16: 16-22. In vitro studies investigating the effect of subcutaneous phosphatidylcholine injections in the 3T3-L1 adipocyte model: lipolysis or lipid dissolution? Klein, S. M., Schreml, S., Nerlich, M., & Prantl, L. 2009. Plast Reconstr Surg; 124: 419-427. Lactate inhibits lipolysis in fat cells through activation of an orphan G-protein-coupled receptor, GPR81. Liu, C., Wu, J., Zhu, J., Kuei, C., Yu, J., Shelton, J., et al. 2009. J Biol Chem; 284: 2811-2822. Regional anatomic and age effects on cell function of human adipose-derived stem cells. Schipper, B. M., Marra, K. G., Zhang, W., Donnenberg, A. D., & Rubin, J. P. 2008. Ann Plast Surg; 60: 538-544. Thyroid-stimulating hormone stimulates lipolysis in adipocytes in culture and raises serum free fatty acid levels in vivo. Gagnon, Annemarie, Antunes, Tayze T, Ly, Tapraya, Pongsuwan, Patama, Gavin, Claire, Lochnan, Heather A, et al. 2010. Metabolism: clinical and experimental; 59: 547-553. Beta-carotene decreases peroxisome proliferator receptor gamma activity and reduces lipid storage capacity of adipocytes in a beta-carotene oxygenase 1-dependent manner. Lobo, G.P. ; Amengual, J.; Li, H.N. ; Golczak, M.; Bonet, M.L. ; Palczewski, K.; von Lintig, J. J. Biol. Chem. 2010, 285, 27891-27899. Ethanolic extracts of Brassica campestris spp. rapa roots prevent high-fat diet-induced obesity via beta(3)-adrenergic regulation of white adipocyte lipolytic activity. An, Sojin, Han, Jang-Il, Kim, Min-Jung, Park, Ji-Seon, Han, Jong-Min, Baek, Nam-In, et al. 2010. Journal of medicinal food; 13: 406-414. Mineralocorticoid receptor blockade reverses obesity-related changes in expression of adiponectin, peroxisome proliferator-activated receptor-gamma, and proinflammatory adipokines. Guo, Christine, Ricchiuti, Vincent, Lian, Bill Q, Yao, Tham M, Coutinho, Patricia, Romero, José R, et al. 2008. Circulation; 117: 2253-2261. CIRCADIAN VARIATIONS IN GENE EXPRESSION IN RAT ABDOMINAL ADIPOSE TISSUE AND RELATIONSHIP TO PHYSIOLOGY. Sukumaran, Siddharth, Xue, Bai, Jusko, William J, Dubois, Debra C, & Almon, Richard R 2010. Physiological genomics; 42A: 141-152. Following 2 diet-restricted male outdoor rock climbers: impact on oxidative stress and improvements in markers of cardiovascular risk. Merrells, K. J., Friel, J. K., Knaus, M., & Suh, M. 2008. Appl Physiol Nutr Metab; 33: 1250-1256. Increased oxidative stress and altered substrate metabolism in obese children. Oliver, Stacy R, Rosa, Jaime S, Milne, Ginger L, Pontello, Andria M, Borntrager, Holly L, Heydari, Shirin, et al. 2010. International journal of pediatric obesity : IJPO : an official journal of the International Association for the Study of Obesity; 5: 436-444. Lack of SIRT1 (Mammalian Sirtuin 1) activity leads to liver steatosis in the SIRT1+/- mice: a role of lipid mobilization and inflammation. Xu, Fen, Gao, Zhanguo, Zhang, Jin, Rivera, Chantal A, Yin, Jun, Weng, Jianping, et al. 2010. Endocrinology; 151: 2504-2514. Quantitation of serum angiopoietin-like proteins 3 and 4 in a Finnish population sample. Robciuc, Marius R, Tahvanainen, Esa, Jauhiainen, Matti, & Ehnholm, Christian 2010. Journal of lipid research; 51: 824-831. Glucocorticoid signaling defines a novel commitment state during adipogenesis in vitro. Pantoja, Carlos, Huff, Jason T, & Yamamoto, Keith R 2008. Molecular biology of the cell; 19: 4032-4041. Phosphoenolpyruvate carboxykinase (Pck1) helps regulate the triglyceride/fatty acid cycle and development of insulin resistance in mice. Millward, Carrie A, Desantis, David, Hsieh, Chang-Wen, Heaney, Jason D, Pisano, Sorana, Olswang, Yael, et al. 2010. Journal of lipid research; 51: 1452-1463. Repression of cellular retinoic acid-binding protein II during adipocyte differentiation. Berry, Daniel C, Soltanian, Hooman, & Noy, Noa 2010. The Journal of biological chemistry; 285: 15324-15332.